HT - khorns front, Chorus II surround, Forte center, McIntosh C-504 & MC-2125 integrated into Marantz AVR, McIntosh LD, Samsung BluRay, Denon CD, Mitsubishi Vertical Turntable, Samsung 67" DLP. Stereo 2 - Marantz 4300, 6300, 5220, HD880. Stereo 3 - Yamaha M-80, C-80, Nak C-7A, CD, RF-7. 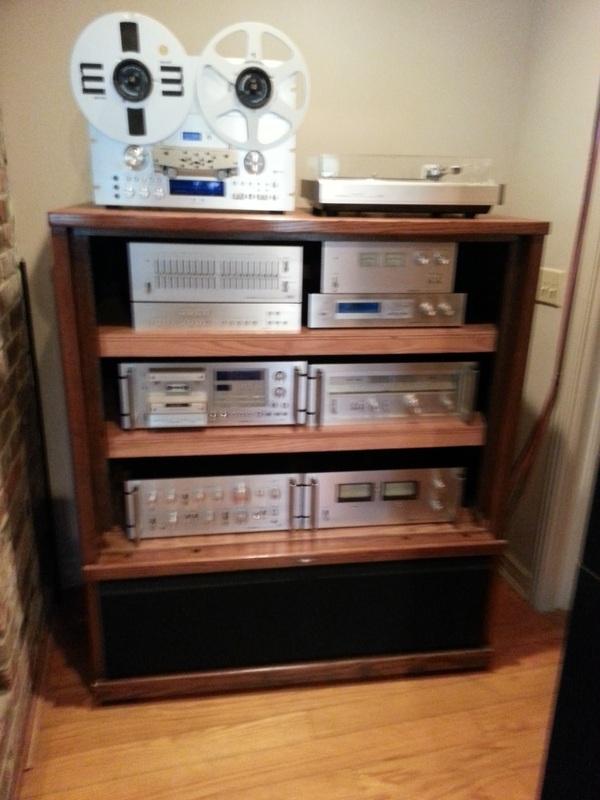 Stereo 4 - Pioneer SX-1250, CT-1250, PL-570, Forte II. Stereo 5 - Sansui G-8000, Cornwall Vertical, CD. Before the listing ended I asked what the speakers looked like on the top and sides. He replied walnut. He then chose not to honor the transaction and didn't respond to any communication afterward. I'll keep my perception to myself. The listing I bid on did not state 'best offer'. The present listing does as you already know. I bid on the previous auction and won for $500. I sent the PayPal payment along with a message that I would pay for extra packing to insure safe delivery. Later that day I noticed that the speakers were relisted. I messaged the seller and got no response. I called eBay and they were no help. I contacted PayPal to cancel the payment and received my refund yesterday. They said the payment was not claimed. The purchase is still listed on my eBay as payment pending. I have a Shark ION. It cleans around khorn, klf-30, rsw-15, chorus ll, Cornwall, etc. It bumps sometimes but it has a soft shock bumper and has never left a mark. The i7 is more sophisticated than the shark and I assume it's sensors are even better. Dang. These DC area Cornwalls are Pretty. Montego replied to thebes's topic in Alerts! I have a pair of those. I've wondered what they might be worth. Your Top 3 Receivers and Why? I don't vouch very often but when I do I vouch for Pioneer Elite. Is Atmos here to stay / worth it? So you're the other one. Montego replied to 7heavenlyplaces's topic in Alerts! Thank you for the heads up! I just bought myself a father's day gift from my wife. Bump for Hogfan. I bought RF-7s and a RSW-15 from him a few years ago. Great guy! Memories -- Friend or Foe?